Managing a board of directors and your board meetings is not that easy as it sounds, especially if the board members and support staff are frequent flyers traveling all over the globe on any given day. At the very least, they’re sure to be very busy people located in different parts of the city. Herding them all into one place at the same time is not an easy scheduling task, and then there’s the matter of agreeing on the meeting agenda, voting on issues, and coming up an implementation plan that everyone can agree on. It may not be visible to the curious bystander, but a lot of heavy backstage spade work is involved in making these board meetings a success. You can make it easier using tech tools that bridge this distance between the board members and enable you to present, review and share relevant information. Different boards have different needs. But they all share some common tasks. Listed below are 4 tech tools to manage board meetings, and all of them will help you address these common traits. 1. Creating and presenting: Prezi. One of the most important aspects of a board meet is creating, presenting and tracking the numerous board meeting documents like agenda, minutes, by-laws, policies etc. Prezi is a next generation presentation tool and is more than an alternative to the traditional slide-based presentation. Instead of slides, Prezi uses one big canvas which enables you to easily emphasise the data and ideas presented there. Supports use of text, images, and videos. A complete library of templates you can customise to your needs. Pan and zoom into the various part of the canvas without the need of flipping through slides. Create Timelines to show relationships between events with an interactive interface. You can track who is viewing and which part of the canvas they are viewing. Diligent Boardbooks is designed specifically to assist support staff to create board information and to facilitate board members to share, read, and collaborate on that information through an easy-to-use interface. It is a user-friendly and secure tech tool that offers complete control to your organisation, along with flexibility and productivity. Create, update, access, and review board books in real time from around the globe. Information protected by physical security and encryption. Access permission fine-tuned down to user and document level protects from unauthorised sharing. Information and meeting under the central control of the chosen administrator. Allows you to choose your data hosting location. When offline, you can view documents synced to a device granted prior access. BoardEffect is a portal system that delivers efficiency and productivity by allowing easy management of board information. Offers from the most basic online board books and event scheduling to the complex information collaborating and reporting features. Annotates board meeting materials across mobile devices. Unlimited storage. No restrictions on the number of files you can keep using this platform. Updates and changes to information can be immediately pushed to board members. BoardEffect scheduler optimises meeting attendance by allowing members to respond with just a click of a button. It’s voting tool lets the board members register their votes electronically. 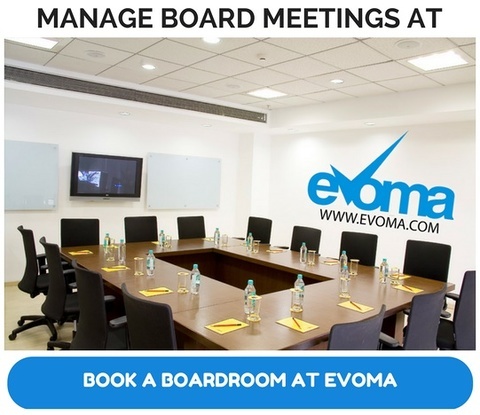 Task tool of BoardEffect helps in organising the board’s process by allowing the admin to set specific tasks for the board members and check the box once completed. Archives the board books for perpetual availability. 4. Conferencing Tool: Google Hangouts. Coming out of the dedicated portals segment, it is time now to deal a little with the subject of a tech tool that will complement all the aforementioned tools. 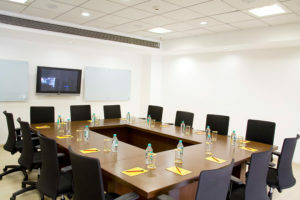 The board needs to confer extensively on the information received, on the board book and other relevant documents before a board meeting can be scheduled and called to order. Hangouts enables just that. It facilitates real-time discussions through instant messaging, SMS, video conferencing, VOIP, and online presentations. Have a “one on one” or a group chat for up to 100 members. Free video call. Either a “one on one” call or a group call for up to 10 members. Sync your chat from device to device, across Android, iOS, and the web, for an uninterrupted discussion from anywhere. Record the hangouts for the benefit of those unable to participate in person. Conclusion: Custom made and dedicated tech tools to manage board meetings are less likely to be practical and affordable for a small organisation such as a startup or SME. At the lower end of the scale, it will be best for these organisations to find their own solutions using some of the GSuite tools like Google Drive, Google Docs, and Google Calendar for creating, sharing, and scheduling a board meeting. This sort of solution, though lacking in the features that premium solutions offer, is a great way to get started and meet some of the most basic board meeting requirements.